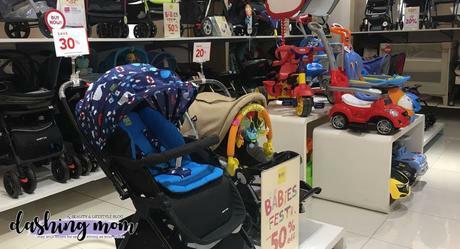 Shopping babies stuff might be too hard especially when you are with your baby. Of course, there are times that we need to be with them when we go shopping to know what they what and need. Going to the department stores with lots of unnecessary toys, stuff might be too destructive that you might forget what's on your shopping list. 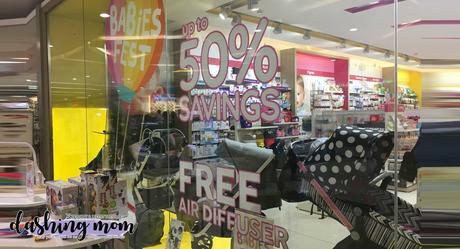 I'm so happy that when I went to SM City Fairview and pass by to a store the Baby Company I read that huge discount which caught my eyes so I went inside the store. 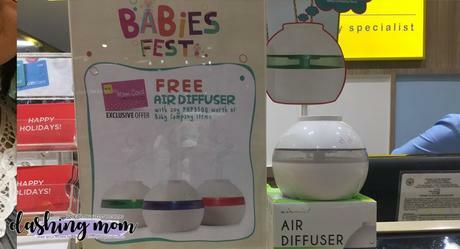 The store offers up to 50% savings and they are giving out a FREE air diffuser perfect for the moody weather. I do love sale, when I become a mother I think I indulge myself whenever I read that there is a sale of a specific brand that I love. By the way Baby Company a store for babies. Upon entering the store, they all greet us (I'm with my son and tita) with a smile. I let my son Harvey roam around the store freely and I know that my son will be safe because the attendants of the store are all over the store and there is a guard in the front door which for me is a good store. Security is a plus for us, mommy, especially for our kids. 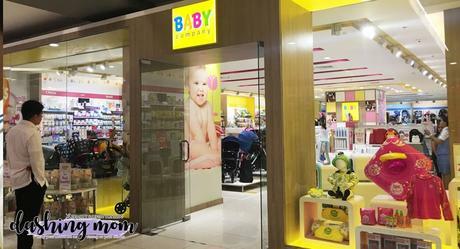 There are times that we got carry away on our shopping leaving behind our kids with Baby Company Store (SM City Fairview) I notice that it is a secured and safe place for my son and me to go on shopping. 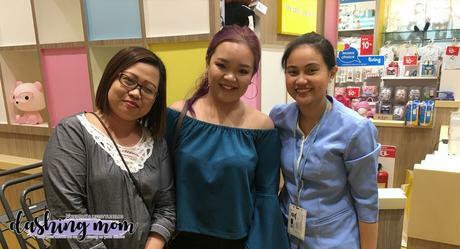 An attendant also helps me to pick the best products and discuss each item that I asked her. The staff is really trained and they know well the products that they are selling. Oh I almost forgot, THEY ARE ON SALE! get a huge discount on some of the items that they have, check the pictures below to know which items are for sale. Who are you use this Goo.n for their babies raised your hand and run to the nearest Baby Company store and hoard your diaper! 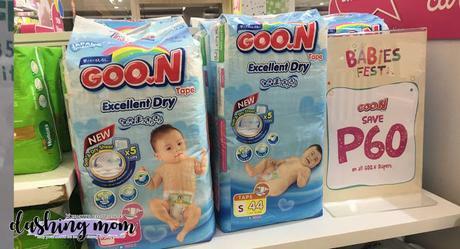 They are giving out 60 pesos discount on all Goon diapers. Memories shall be capture and show to other people. 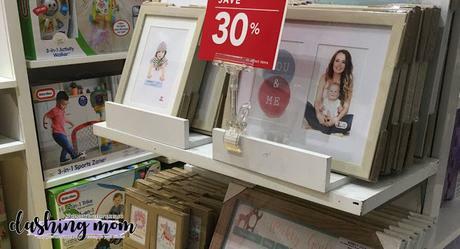 Showcase them with these cute picture frames. 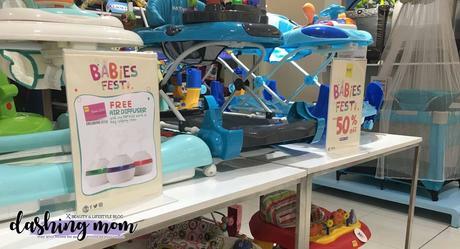 Summer outing time na mga mommy and stroller is a must especially sa mga kids na hindi pa gaano nakakalakad. 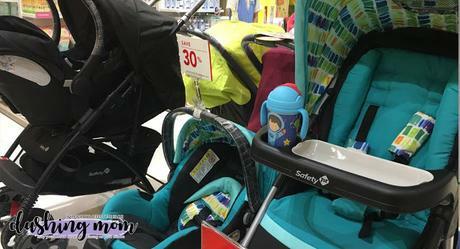 Tip : this is a multi-functional baby stuff that you need to have. Why? 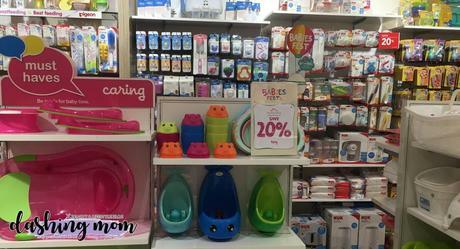 It's for your baby to sit on, for your gamit if buhat si baby and baby can sleep here. 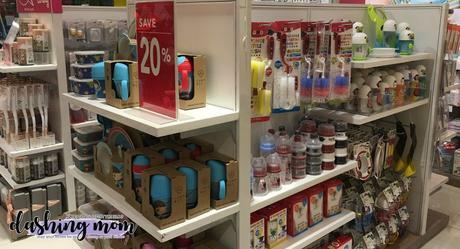 See there are lots of items that you can buy from the stand-alone stores of Baby Company! My son also got his new construction toys. 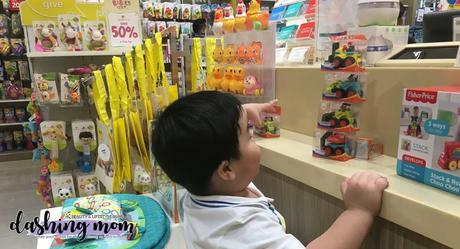 Tip mommies I let my son fall in line to cashier counters to train him to be patient and to mingle with other people. I almost forgot I got a cute air Diffuser upon reaching 3,500 pesos shopping just present your Mom Card to the cashier. 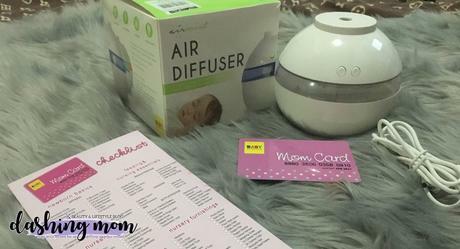 I love freebies this Air diffuser is compact that you can bring it anywhere. You can use it on your car while traveling this summer because it uses a USB cable. Oh I recommend S & R Eucalyptus fragrant a perfect match to this one. To say bye bye to colds and flu. 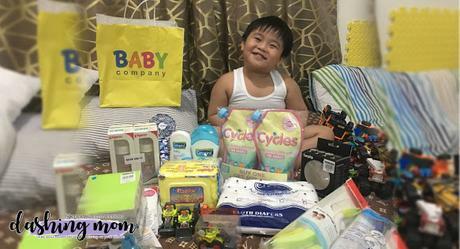 To show you guys what we have on our shopping here is a picture of my son together with the things that we bought! Remember to always present your Mom Card whenever you bought things to any SM Stores and Baby Company to redeem that points and get that extra gift from Baby Company. A Mom card is like a rewards card for mom. 1 point is earned for every ₱100. Get a free air diffuser for a min. 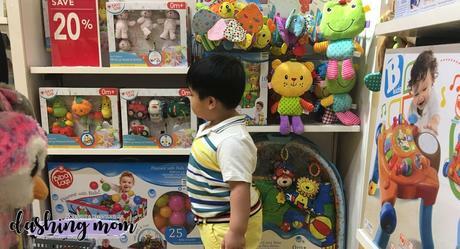 Single-receipt purchase worth P3,500 of any Baby Company item.